About Karen - Karen M. Barry M.F.T. Karen Barry, M.F.T., LMFT has been a licensed marriage and family therapist in North Carolina since 1997. She is a graduate of Hahnemann University Graduate School in Philadelphia PA (now part of Drexel University) and earned a Master of Family Therapy (M.F.T.) degree. Karen continues to broaden and deepen her knowledge, and strengthen her skills through continuous education. She has been studying Emotionally Focused Couples Therapy EFT) since 2003, and has been a member of the Marriage Friendly Therapist Network since its founding. 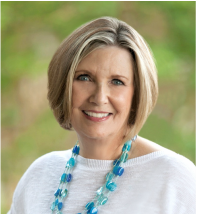 Karen has served as director for the North Carolina Association of Marriage and Family Therapists and is active in several professional groups. She has completed more than 50 hours of study on the treatment of sexual dysfunction. Her studies and work with children with Attention Deficit Hyperactivity Disorder (ADHD) prepared her to teach parenting classes and classes for public school teachers. Karen enjoys working with all age groups, especially adults going through life transitions and couples in marital distress. Karen has worked hard over the years to develop her specialty in couples therapy. Couples therapy is probably the most complex and multi-dimensional of all therapies and requires many years to master. She sees couples in traditional private couples sessions. Karen also offers 1 and 2-day private intensives for couples from out-of-the-area, or those who desire more intensive treatment. Karen knows from her education and experience that helping couples with children to achieve a more fulfilling relationship can promote better childhood development and create a more resilient family. She is known for being able to engage even the most reluctant clients because she strives to make therapy enjoyable and a comfortable experience. Karen is originally from the Bay Area in California, has lived in the Philadelphia where she attended graduate school then she moved to North Carolina in 1995. Karen's first career was in business where she worked for computer companies in Silicon Valley and Philadelphia. Fortunately, she had an opportunity to pursue a career involving her real interest-people. She found marriage and family therapy to be the perfect therapeutic orientation to pursue a new education and has been grateful ever since for finding a career she is passionate about. intensely and recover more successfully, following a major illness or surgery. Our bodies are definitely affected by mental health and relationship well being. For example, one study showed that people who are depressed prior to having a heart attack are 5 times more likely to die from the event than patients who were not depressed. We’ve learned the best practice for treatment of depression combines the use of medication, exercise and psychotherapy. Holding the hand of a trusted loved one decreases pain. Karen strongly believes that collaborating with Primary Care Physicians and other specialists helps ensure you are being treated as a whole person, mind and body. Karen also encourages clients to take responsibility for their health and to be open to multi-modal treatments such as therapeutic massage, acupuncture, energy work, spiritual direction and mindfulness techniques, working together to bring about a healthier whole person.